In his exclusive feature, Greg Ceton, CSI, CDT, discusses the move toward offsite construction and what it means for the industry. Offsite construction is part of a gradual move toward a more manufacturing-based process in the construction industry. As specifiers and designers may already know, construction productivity has lagged other industry sectors tracked globally for some time, all but flatlining since the 1970s (For more information, read “Reinventing Construction: A Route to Higher Productivity,” published in February 2017 by McKinsey Global Institute). In comparison, other sectors have seen nearly three times the growth, with manufacturing, specifically, approaching four times the growth in productivity. This is, partly, because other industries have changed their processes to take advantage of technological developments. Though there have been upgrades both to worker safety and materials, the method of delivering commercial construction has largely not changed since the 1960s (Consult “The History of AIA Contract Documents” by the American Institute of Architects [AIA] at www.aiacontracts.org/contract-doc-pages/21531-the-history-of-aia-contract-documents and “Preservation Construction: Design-Build Versus Design-Bid-Build,” a 2010-master’s thesis by Nicholas Michael Patrick for University of Georgia.). Offsite construction promises to reverse some of this trend, by allowing significant amounts of building construction to be performed in a controlled environment, and depending on project needs, on a near assembly-line basis. This provides benefits for worker safety and comfort, and for ensuring materials and resources are consistently available to the project team. 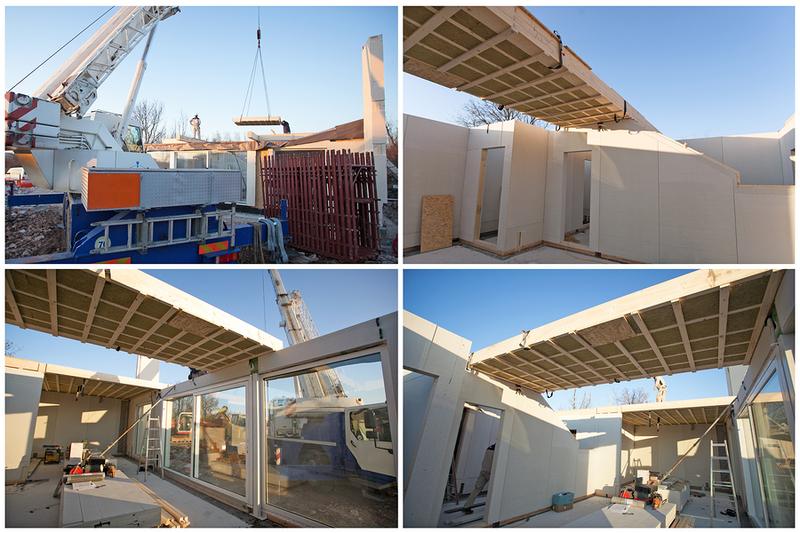 It also allows for parallel work, with needed onsite work being performed at the same time as assemblies are prepared offsite. Greg Ceton, CSI, CDT, recently spoke with representatives of different offsite firms and organizations about this method of delivery, what it requires from users, and the implications for specifications, product selection, and project delivery. Find out what he discovered by reading his blog, “Specifying Offsite Construction,” on the CSI website.